There’s a radio station in these parts that started the week after Thanksgiving to play nothing but Christmas music. 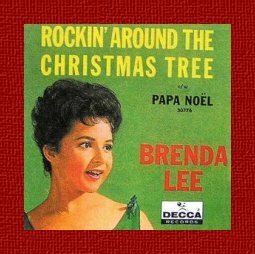 And that has been pretty much restricted to non-religious Christmas music, which sharply limits the available tracks, even with generic winter tunes like “Let it Snow” thrown in. We usually stick to the public radio classical music station, but once in while, when that station delves into music we find grating, we have switched to the commercial station, but the steady diet of what seems like a dozen songs can be nauseating. Earlier today, within less than 30 minutes, that station played yet again “Rudolph, the Red-Nosed Reindeer” by Gene Autry, “Rockin’ Around the Christmas Tree” by Brenda Lee, and “Have a Holly Jolly Christmas” by Burl Ives. It occurred to me as I reached for the remote that all of those songs were the work of Johnny Marks. That’s no small thing when one considers that relatively few pop Christmas songs have become standards. 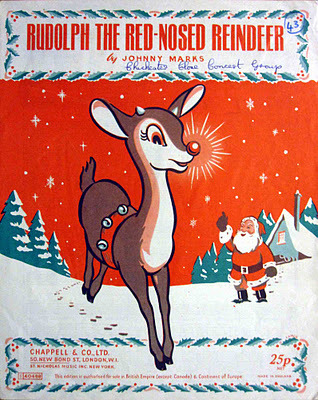 “Rudolph, the Red-Nosed Reindeer” was actually a collaboration with Marks’s brother-in-law, Robert May, a Phi Beta Kappa graduate of Dartmouth, who worked as a copywriter for Montgomery Ward. For many years, the retail chain had been giving away Christmas coloring books to children who visited Santa Claus at Montgomery Ward stores, but in the 1930s, turned to creating its own book, which featured the tale of Rudolph, written in verse by Robert May. By 1946, more than six million copies of the book had been distributed. To its credit, Montgomery Ward, which originally owned the copyright to Rudolph because it had been written by an employee as an assignment, turned the rights over to May in 1947. Marks turned May’s poem into lyrics and set it to music. Although other singers turned down the chance, Gene Autry recorded the song for the Christmas season of 1949 and the disc sold more than 2.5 million copies the first year and has sold tens of millions since. Incidentally, May’s achievement was remarkable in its own right in that he managed to add a character to the ages-old Santa Claus legend. 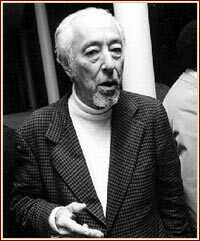 Marks, who attended Colgate and Columbia universities, also wrote “I Heard the Bells on Christmas Day,” a musical adaptation of a poem by Henry Wadsworth Longfellow. The song was recorded by several major artists, including Harry Belafonte, Bing Crosby, and Kate Smith. From what I’ve read, although “Rudolph” made Marks a rich man, he wasn’t crazy about being remembered only for that and a few other Christmas songs. As it happens, Marks also collaborated with Carmen Lombardo and D.L. 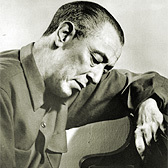 Hill to write one of my favorite songs, “Address Unknown.” It was a big hit for the Ink Spots. You can hear their recording by clicking HERE. I don’t want to leave Johnny Marks without mentioning that he served with the U.S. Army during World War II — specifically, as a captain in the 26th Special Service Company — and he was awarded the Bronze Star and four battle stars. Serving under General George Patton during the invasion of Normandy, Marks won the Bronze Star for leading 20 men in an attack on a castle and capturing the 100 Germans inside.